The Renaissance (French: "rebirth," Italian: "Rinascimento"), was a cultural movement that spanned roughly the 14th through the 17th century, beginning in Italy in the late Middle Ages and later spreading to the rest of Europe. It encompassed the revival of learning based on classical sources, the rise of courtly and papal patronage, the development of perspective in painting, advancements in science, and the arrival of print culture. The Renaissance had wide-ranging consequences in all intellectual pursuits, but is perhaps best known for its artistic aspect and the contributions of such polymaths as Leonardo da Vinci and Michelangelo, who have inspired the term "Renaissance men". The term Renaissance was coined in the 19th century. 5.2 For better or for worse? The Renaissance was a cultural movement that profoundly affected European intellectual life in the early modern period. Beginning in Italy, and spreading to the rest of Europe by the 16th century, its influence affected literature, philosophy, art, politics, science, religion, and other aspects of intellectual inquiry. Renaissance scholars employed the humanist method in study, and searched for realism and human emotion in art. Renaissance thinkers sought out learning from ancient texts, typically written in Latin or ancient Greek. Scholars scoured Europe's monastic libraries searching for works of classical antiquity which had fallen into obscurity. In such texts they found a desire to improve and perfect their worldly knowledge; an entirely different sentiment to the transcendental spirituality stressed by medieval Christianity. They did not reject Christianity; quite the contrary, many of the Renaissance's greatest works were devoted to it, and the Church patronized many works of Renaissance art. However, a subtle shift took place in the way that intellectuals approached religion that was reflected in many other areas of cultural life. Artists such as Masaccio strove to portray the human form realistically, developing techniques to render perspective and light more naturally. Political philosophers, most famously Niccolò Machiavelli, sought to describe political life as it really was, and to improve government on the basis of reason. In perhaps the critical text of Italian Renaissance Humanism Pico della Mirandola, at the young age of twenty-three, wrote a famous text, the Oration on the Dignity of Man, a series of theses on philosophy, natural thought, faith and magic defended against any opponent on the grounds of reason. In addition to studying classical Latin and Greek, Renaissance authors also began increasingly to use vernacular languages; combined with the invention of printing, this would allow many more people access to books, especially the Bible. In all, the Renaissance could be viewed as an attempt by intellectuals to study and improve the secular and worldly, both through the revival of ideas from Antiquity, and through novel approaches to thought. Some scholars, such as Rodney Stark, play down the Renaissance in favor of earlier innovation initially in Italian city states marrying responsive government, Christianity and the birth of capitalism. This analysis argues that, whereas the great European states (France and Spain) were absolutist monarchies, and others were under direct Church control, the independent city republics of Italy took over the principles of capitalism invented on monastic estates and set off a vast unprecedented commercial revolution which preceded and financed the Renaissance. Most historians agree that the ideas that characterized the Renaissance had their origin in late 13th century Florence, in particular with the writings of Dante Alighieri (1265–1321) and Francesco Petrarca (1304–1374), as well as the painting of Giotto di Bondone (1267–1337). Some writers date the Renaissance quite precisely; one proposed starting point is 1401, when the rival geniuses Lorenzo Ghiberti and Filippo Brunelleschi competed for the contract to build the bronze doors for the Baptistery of the Florence Cathedral (Ghiberti won). Others see more general competition between artists and polymaths such as Brunelleschi, Ghiberti, Donatello, and Masaccio for artistic commissions as sparking the creativity of the Renaissance. Yet it remains much debated why the Renaissance began in Italy, and why it began when it did. Accordingly, several theories have been put forward to explain its origins. In some ways Humanism was not a philosophy per se, but rather a method of learning. In contrast to the medieval scholastic mode, which focused on resolving contradictions between authors, humanists would study ancient texts in the original, and appraise them through a combination of reasoning and empirical evidence. Humanist education was based on the programme of 'Studia Humanitatis', that being the study of five humanities: poetry, grammar, history, moral philosophy and rhetoric. Humanist scholars shaped the intellectual landscape throughout the early modern period. Political philosophers such as Niccolò Machiavelli and Thomas More(1478 – 1535) revived the ideas of Greek and Roman thinkers, and applied them in critiques of contemporary government. Machiavelli's contribution, in the view of Isaiah Berlin, was a decisive break in western political thought allocating a unique reasoning to politics and faith and perhaps making him the father of the social sciences. Pico della Mirandola who lived to only twenty-three years wrote what is often considered the manifesto of the Renaissance, a vibrant defence of thinking, the Oration on the Dignity of Man. Matteo Palmieri (1406-1475), another humanist, is most known for his work Della vita civile ("On Civic Life"; printed 1528) which advocated civic humanism, and his influence in refining the Tuscan vernacular to the same level as Latin. Palmieri's written works drawn on Roman philosophers and theorists, especially Cicero, who, like Palmieri, lived an active public life as a citizen and official, as well as a theorist and philosopher and also Quintilian. Strongly committed to a deep and broad education Palmieri believed this would dispose people to public engagement and enhance the human capacity to do good deeds and contribute to the community. Although holding public office between 1432 and 1475 he is best remembered for these writings extolling the ideal of humanism as combination of learning with civic or political action. Possibly the most succinct expression of his perspective on humanism is in a 1465 poetic work La città di vita, but an earlier work Della vita civile (On Civic Life) is more wide-ranging. Composed as a series of dialogues set in a country house in the Mugello countryside outside Florence during the plague of 1430, Palmieri expounds on the qualities of the ideal citizen. The dialogues concern how children develop mentally and physically, how citizens can conduct themselves morally, how citizens and states can ensure probity in public life, and an important debate on the difference between that which is pragmatically useful and that which is honest. One of the distinguishing features of Renaissance art was its development of highly realistic linear perspective. Giotto di Bondone (1267–1337) is credited with first treating a painting as a window into space, but it was not until the demonstrations of architect Filippo Brunelleschi (1377–1446) and the subsequent writings of Leon Battista Alberti (1404–1472) that perspective was formalized as an artistic technique. 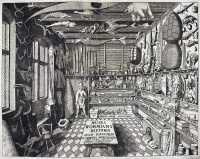 The development of perspective was part of a wider trend towards realism in the arts. 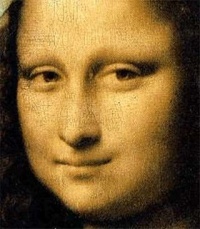 To that end, painters also developed other techniques, studying light, shadow, and, famously in the case of Leonardo da Vinci, human anatomy. Underlying these changes in artistic method, was a renewed desire to depict the beauty of nature, and to unravel the axioms of aesthetics, with the works of Leonardo, Michelangelo and Raphael representing artistic pinnacles that were to be much imitated by other artists. 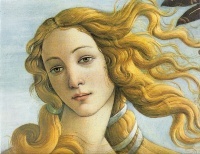 Other notable artists include Sandro Botticelli, working for the Medici in Florence, Donatello another Florentine and Titian in Venice, among others. Concurrently, in the Netherlands, a particularly vibrant artistic culture developed, the work of Hugo van der Goes and Jan van Eyck having particular influence on the development of painting in Italy, both technically with the introduction of oil paint and canvas, and stylistically in terms of naturalism in representation. (For more, see Renaissance in the Netherlands). Later, the work of Pieter Brueghel the Elder would inspire artists to depict themes of everyday life. In architecture, Filippo Brunelleschi was foremost in studying the remains of ancient classical buildings, and with rediscovered knowledge from the 1st-century writer Vitruvius and the flourishing discipline of mathematics, formulated the Renaissance style which emulated and improved on classical forms. Brunelleschi's major feat of engineering was the building of the dome of Florence Cathedral. The first building to demonstrate this is claimed to be the church of St. Andrew built by Alberti in Mantua. The outstanding architectural work of the High Renaissance was the rebuilding of St. Peter's Basilica, combining the skills of Bramante, Michelangelo, Raphael, Sangallo and Maderno. The Roman orders types of columns are used: Tuscan, Doric, Ionic, Corinthian and Composite. These can either be structural, supporting an arcade or architrave, or purely decorative, set against a wall in the form of pilasters. During the Renaissance, architects aimed to use columns, pilasters, and entablatures as an integrated system. One of the first buildings to use pilasters as an integrated system was in the Old Sacristy (1421–1440) by Filippo Brunelleschi. Arches, semi-circular or (in the Mannerist style) segmental, are often used in arcades, supported on piers or columns with capitals. There may be a section of entablature between the capital and the springing of the arch. Alberti was one of the first to use the arch on a monumental. Renaissance vaults do not have ribs. They are semi-circular or segmental and on a square plan, unlike the Gothic vault which is frequently rectangular. The upheavals occurring in the arts and humanities were mirrored by a dynamic period of change in the sciences. Some have seen this flurry of activity as a "scientific revolution", heralding the beginning of the modern age. Others have seen it merely as an acceleration of a continuous process stretching from the ancient world to the present day. Regardless, there is general agreement that the Renaissance saw significant changes in the way the universe was viewed and the methods with which philosophers sought to explain natural phenomena. Science and art were very much intermingled in the early Renaissance, with artists such as Leonardo da Vinci making observational drawings of anatomy and nature. An exhaustive 2007 study by Fritjof Capra shows that Leonardo was a much greater scientist than previously thought, and not just an inventor. 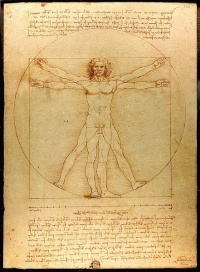 In science theory and in conducting actual science practice, Leonardo was innovative. He set up controlled experiments in water flow, medical dissection, and systematic study of movement and aerodynamics; he devised principles of research method that for Capra classify him as “father of modern science”. In Capra's detailed assessment of many surviving manuscripts Leonardo's science is more in tune with holistic non-mechanistic and non-reductive approaches to science which are becoming popular today. Perhaps the most significant development of the era was not a specific discovery, but rather a process for discovery, the scientific method. This revolutionary new way of learning about the world focused on empirical evidence, the importance of mathematics, and discarding the Aristotelian "final cause" in favor of a mechanical philosophy. Early and influential proponents of these ideas included Copernicus and Galileo. In his 1991 survey of these developments, Charles Van Doren considers that the Copernican revolution really is the Galilean cartesian (René Descartes) revolution, on account of the nature of the courage and depth of change their work brought about. Elizabeth Eisenstein has described how the high costs of copying scribal works often led to their abandonment and eventual destruction. Furthermore, the cost and time of copying led to the slow propagation of ideas. In contrast, the printing press allowed rapid propagation of ideas, resulting in knowledge and cultural movements that were far harder to destroy. Eisenstein points to prior renaissances (rebirths) of classical learning prior to the printing press that failed. In contrast, the Renaissance was a permanent revival of classical learning because the printing of classical works put them into a permanent and widely read form. Similarly, Eisenstein points to a large number of prior attempts in Western Europe to assert doctrines contrary to the ruling Catholic Church. In contrast, the Protestant Reformation spread rapidly and permanently due to the printing of heretical works such as the 95 Theses. The new scientific method led to great contributions in the fields of astronomy, physics, biology, and anatomy. With the publication of Vesalius's De humani corporis fabrica, a new confidence was placed in the role of dissection, observation, and a mechanistic view of anatomy. The new ideals of humanism, although more secular in some aspects, developed against a Christian backdrop, especially in the Northern Renaissance. Indeed, much (if not most) of the new art was commissioned by or in dedication to the Church. However, the Renaissance had a profound effect on contemporary theology, particularly in the way people perceived the relationship between man and God. Many of the period's foremost theologians were followers of the humanist method, including Erasmus, Zwingli, Thomas More, Martin Luther, and John Calvin. The Renaissance began in times of religious turmoil. The late Middle Ages saw a period of political intrigue surrounding the Papacy, culminating in the Western Schism, in which three men simultaneously claimed to be true Bishop of Rome. While the schism was resolved by the Council of Constance (1414), the 15th century saw a resulting reform movement know as Conciliarism, which sought to limit the pope's power. Although the papacy eventually emerged supreme in ecclesiastical matters by the Fifth Council of the Lateran (1511), it was dogged by continued accusations of corruption, most famously in the person of Pope Alexander VI, who was accused variously of simony, nepotism and fathering four illegitimate children whilst Pope, whom he married off to gain more power. Churchmen such as Erasmus and Luther proposed reform to the Church, often based on humanist textual criticism of the New Testament. Indeed, it was Luther who in October 1517 published the 95 Theses, challenging papal authority and criticizing its perceived corruption, particularly with regard to its sale of indulgences. The 95 Theses led to the Reformation, a break with the Roman Catholic Church that previously claimed hegemony in Western Europe. Humanism and the Renaissance therefore played a direct role in sparking the Reformation, as well as in many other contemporaneous religious debates and conflicts. By the 15th century, writers, artists and architects in Italy were well aware of the transformations that were taking place and were using phrases like modi antichi (in the antique manner) or alle romana et alla antica (in the manner of the Romans and the ancients) to describe their work. The term la rinascita first appeared, however, in its broad sense in Giorgio Vasari's Vite de' più eccellenti architetti, pittori, et scultori Italiani (The Lives of the Artists, 1550, revised 1568). Vasari divides the age into three phases: the first phase contains Cimabue, Giotto, and Arnolfo di Cambio; the second phase contains Masaccio, Brunelleschi, and Donatello; the third centers on Leonardo da Vinci and culminates with Michelangelo. It was not just the growing awareness of classical antiquity that drove this development, according to Vasari, but also the growing desire to study and imitate nature. In the 15th century, the Renaissance spread with great speed from its birthplace in Florence, first to the rest of Italy, and soon to the rest of Europe. The invention of the printing press allowed the rapid transmission of these new ideas. As it spread, its ideas diversified and changed, being adapted to local culture. In the 20th century, scholars began to break the Renaissance into regional and national movements. The term was first used retrospectively by the Italian artist and critic Giorgio Vasari (1511–1574) in his book The Lives of the Artists (published 1550). In the book Vasari was attempting to define what he described as a break with the barbarities of gothic art: the arts had fallen into decay with the collapse of the Roman Empire and only the Tuscan artists, beginning with Cimabue (1240–1301) and Giotto (1267–1337) began to reverse this decline in the arts. According to Vasari, antique art was central to the rebirth of Italian art. However, it was not until the nineteenth century that the French word Renaissance achieved popularity in describing the cultural movement that began in the late-13th century. The Renaissance was first defined by French historian Jules Michelet (1798–1874), in his 1855 work, Histoire de France. For Michelet, the Renaissance was more a development in science than in art and culture. He asserted that it spanned the period from Columbus to Copernicus to Galileo; that is, from the end of the 15th century to the middle of the seventeenth century. Moreover, Michelet distinguished between what he called, "the bizarre and monstrous" quality of the Middle Ages and the democratic values that he, as a vocal Republican, chose to see in its character. A French nationalist, Michelet also sought to claim the Renaissance as a French movement. The Swiss historian Jacob Burckhardt (1818–1897) in his Die Cultur der Renaissance in Italien (1860), by contrast, defined the Renaissance as the period between Giotto and Michelangelo in Italy, that is, the 14th to mid-16th centuries. He saw in the Renaissance the emergence of the modern spirit of individuality, which had been stifled in the Middle Ages. His book was widely read and was influential in the development of the modern interpretation of the Italian Renaissance. However, Buckhardt has been accused of setting forth a linear Whiggish view of history in seeing the Renaissance as the origin of the modern world. "Rather than a period with definitive beginnings and endings and consistent content in between, the Renaissance can be (and occasionally has been) seen as a movement of practices and ideas to which specific groups and identifiable persons variously responded in different times and places. It would be in this sense a network of diverse, sometimes converging, sometimes conflicting cultures, not a single, time-bound culture." Much of the debate around the Renaissance has centered around whether the Renaissance truly was an "improvement" on the culture of the Middle Ages. Both Michelet and Burckhardt were keen to describe the progress made in the Renaissance towards the "modern age". Burckhardt likened the change to a veil being removed from man's eyes, allowing him to see clearly. "In the Middle Ages both sides of human consciousness – that which was turned within as that which was turned without – lay dreaming or half awake beneath a common veil. The veil was woven of faith, illusion, and childish prepossession, through which the world and history were seen clad in strange hues." On the other hand, many historians now point out that most of the negative social factors popularly associated with the "medieval" period – poverty, warfare, religious and political persecution, for example – seem to have worsened in this era which saw the rise of Machiavelli, the Wars of Religion, the corrupt Borgia Popes, and the intensified witch-hunts of the 16th century. Many people who lived during the Renaissance did not view it as the "golden age" imagined by certain 19th-century authors, but were concerned by these social maladies. Significantly, though, the artists, writers, and patrons involved in the cultural movements in question believed they were living in a new era that was a clean break from the Middle Ages. Some Marxist historians prefer to describe the Renaissance in material terms, holding the view that the changes in art, literature, and philosophy were part of a general economic trend away from feudalism towards capitalism, resulting in a bourgeois class with leisure time to devote to the arts. Johan Huizinga (1872–1945) acknowledged the existence of the Renaissance but questioned whether it was a positive change. In his book The Waning of the Middle Ages, he argued that the Renaissance was a period of decline from the High Middle Ages, destroying much that was important. The Latin language, for instance, had evolved greatly from the classical period and was still a living language used in the church and elsewhere. The Renaissance obsession with classical purity halted its further evolution and saw Latin revert to its classical form. Robert S. Lopez has contended that it was a period of deep economic recession. Meanwhile George Sarton and Lynn Thorndike have both argued that scientific progress was perhaps less original than has traditionally been supposed. The term Renaissance has also been used to define time periods outside of the 15th and 16th centuries. Charles H. Haskins (1870–1937), for example, made a case for a Renaissance of the 12th century. Other historians have argued for a Carolingian Renaissance in the 8th and 9th centuries, and still later for an Ottonian Renaissance in the 10th century. Other periods of cultural rebirth have also been termed "renaissances", such as the Bengal Renaissance or the Harlem Renaissance. Unless indicated otherwise, the text in this article is either based on Wikipedia article "Renaissance" or another language Wikipedia page thereof used under the terms of the GNU Free Documentation License; or on original research by Jahsonic and friends. See Art and Popular Culture's copyright notice. This page was last modified 12:02, 16 December 2017.